This photo was taken after a photo shoot. The wine was used as a prop. We were packing up for the day and I couldn't resist the urge to indulge in the moment. The Chairs fit like gloves, the wine, the ocean and the sunset... we had a wonderful night! 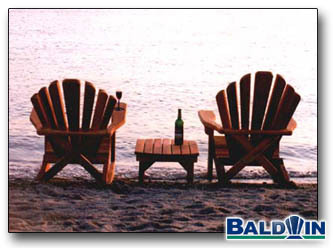 Baldwin Chairs have a way of making you feel at ease.